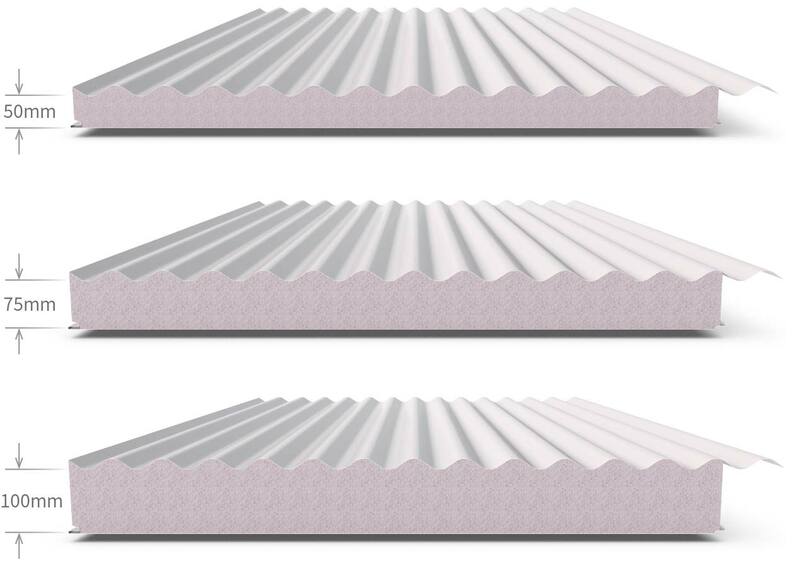 Control the climate with the innovative Cooldek insulated roofing panel. 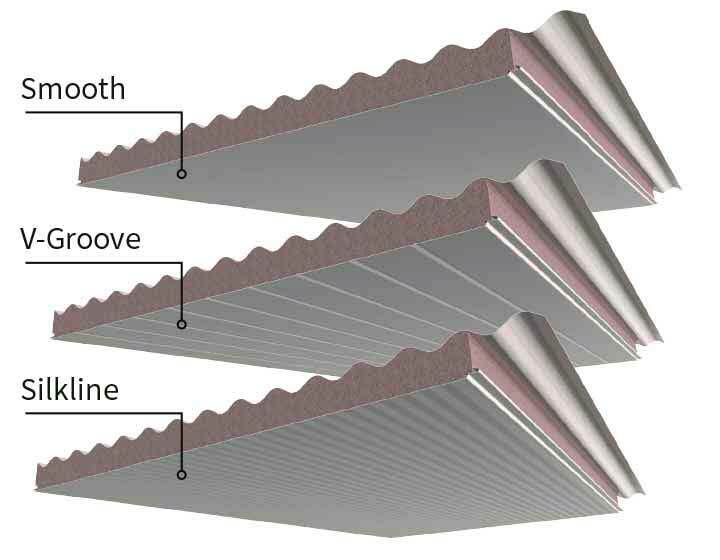 Cooldek cladding provides a roof, insulation and ceiling-like finish all-in-one. It has superior spanning capabilities and outstanding cooling performance. 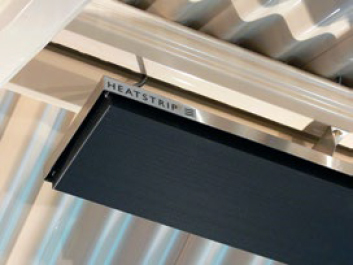 Control the climate with Stratco’s innovative Cooldek insulated panel. Cooldek provides weatherproof roofing, substantial insulation and a beautiful ceiling all in one product. Cooldek is designed to be strong enough to span significant lengths unsupported while providing outstanding cooling performance. Cooldek is relatively simple to install, and even has an inbuilt rebate to conceal electrical wiring for fans and light fittings. Stratco Cooldek roofing features a polystyrene core that is permanently bonded to a smooth, easy to clean coloured steel underside and a profiled, coloured steel topside. The insulating properties of Cooldek reduce heat from above on hot days which significantly increases comfort levels under the roof. It also reduces noise from heavy rain and will aid in keeping the interior of your home cool, reducing your energy costs and your carbon footprint. 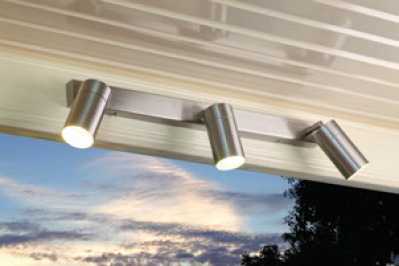 You can include lighting, fans or heaters to compliment your wonderful Outback living space. With the wide range of accessories available, you can enjoy your Outback lifestyle all year round. 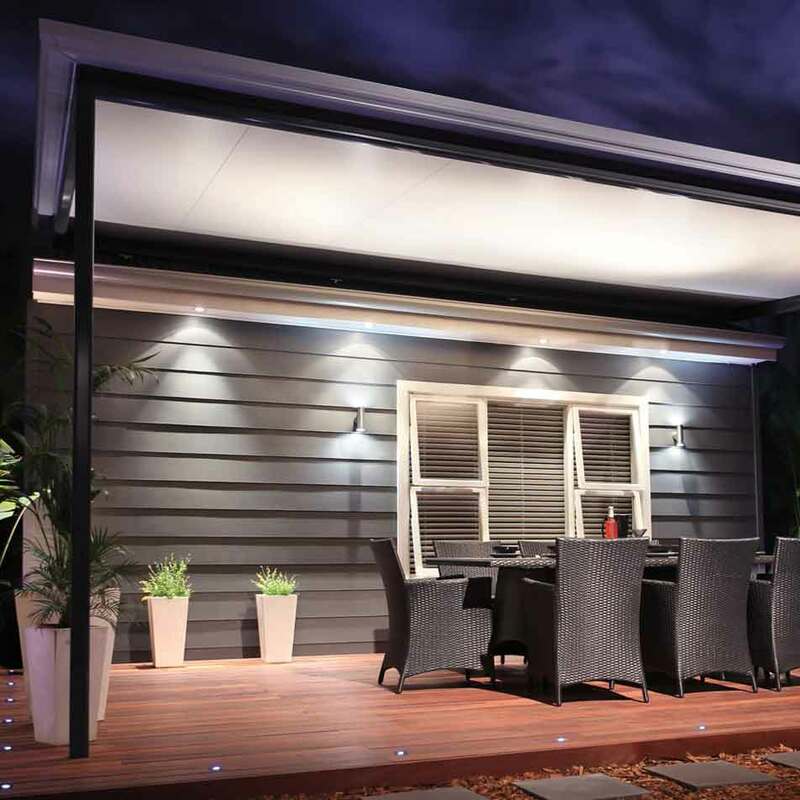 Choose from either the Cooldek Classic or the Cooldek CGI roof profiles. 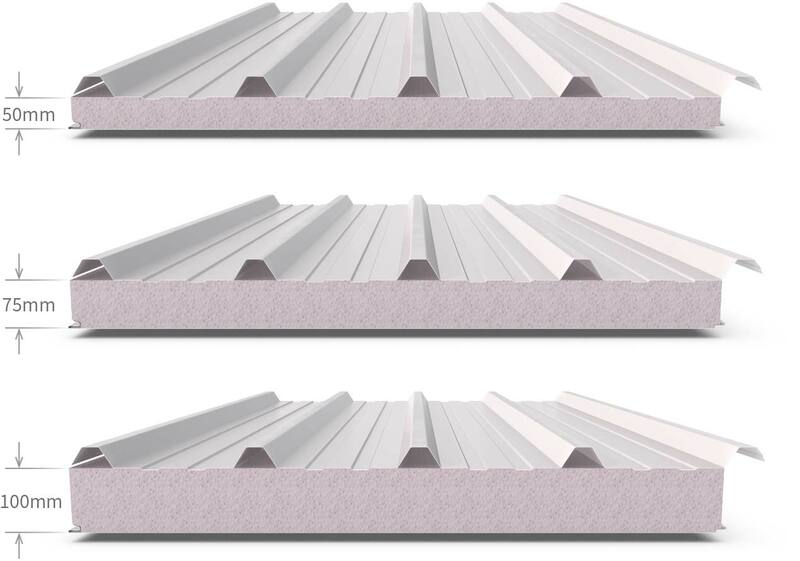 There are three insulation thicknesses to choose from; 50mm, 75mm and 100mm, for increasing levels of insulation and greater spanning capabilities. 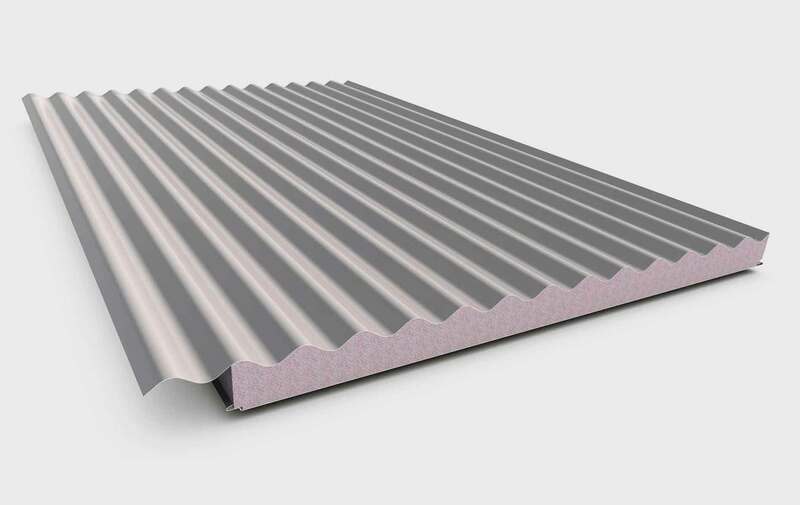 50mm thick panels have an insulation rating (R value) of up to 1.6, 75mm thick panels have an R value of up to 2.2 and 100mm thick panels have an R value of up to 2.8.
or the high performance decking shape of Cooldek Classic. The topside colour choices include a wide range of popular colours to integrate your patio into existing colour schemes. There is a choice of smooth or two ribbed finishes. 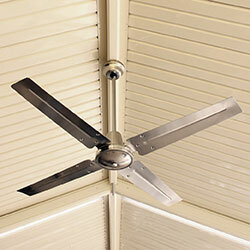 The underside is available in white or a choice of high gloss colours. Control the climate, keep cool and experience outdoor living in comfort under a Stratco Outback® with Cooldek® roofing. 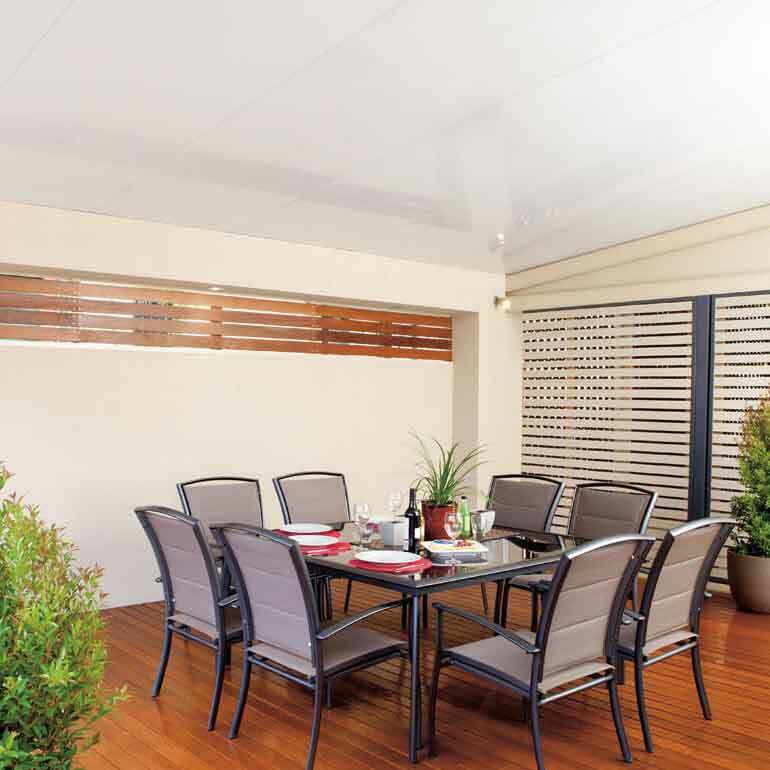 When incorporated with a Stratco Outback Patio the innovative Cooldek insulated panel provides a roof, insulation and ceiling like finish all in one product, with superior spanning capabilities and outstanding cooling performance. 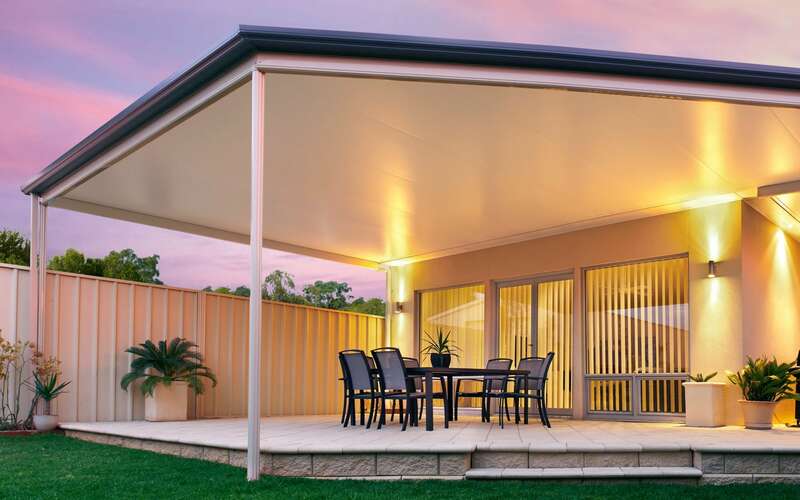 Add value and extend your outdoor living all year round with a Stratco Outback and Cooldek Roofing. Exceptional strength allows Cooldek to span up to an impressive 7.2 metres. 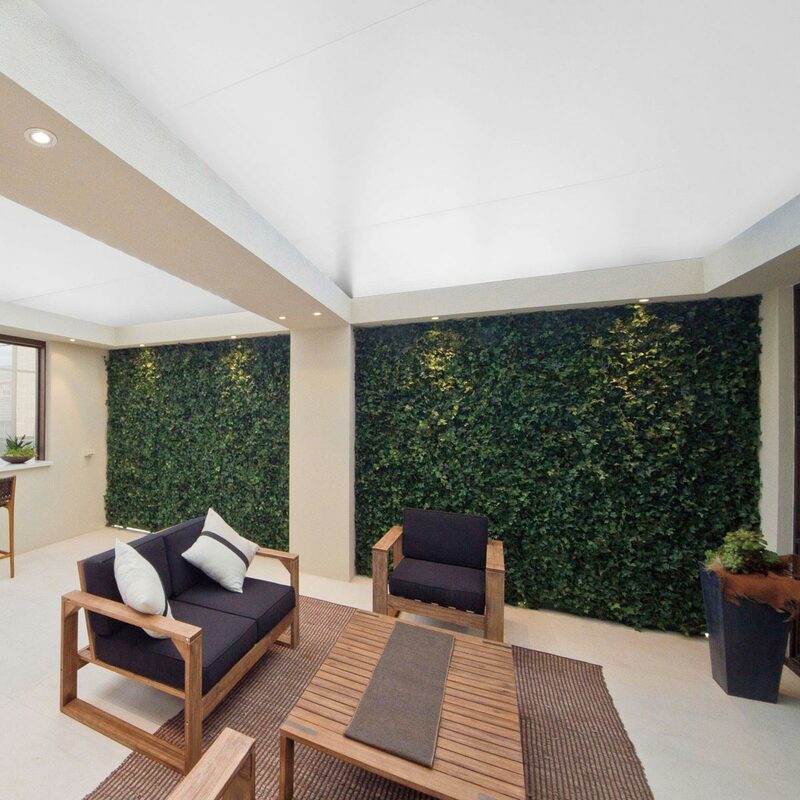 Large spans reduce the number of supporting beams and framework, which creates an uncluttered ceiling-like appearance and clear views. The minimum recommended roof pitch for ‘flat’ verandahs shall be 1° (1 in 60) for Cooldek Classic panels and 3° (1 in 20) for Cooldek CGI panels. The maximum roof pitch for ‘flat’ verandahs shall be 5° (1 in 12). Care must be taken to ensure the minimum roof pitch is maintained to avoid ponding of rainwater. The roof is designed to withstand maintenance activitie, roofs are not to be used for floor type activities. The design contained within these span tables relate to wind classifications N1, N2, N3, and N4 applicable to Regions A and B. Stratco does not accept liability for any loss or damage suffered as a result of any errors in the interpretation or application of these span tables. The Wind Capacity Tables are based on testing in accordance with AS1562.1-1992 and AS4040.0, 1 & 2-1992. Span tables have been developed by determining wind pressures in accordance with AS4055-2006 for domestic applications. Capacity tables are in limit state format. The spans given in the ‘Single Spans’ table are determined for wind speeds for non-cyclonic areas. Indicated spans are suitable for ‘flat’ roof patios. Open freestanding unit spans can be taken from open three sides unless a wall, eaves or boundary exists within 500mm of two or more sides. For Cooldek roofing in attached or freestanding domestic gable patio application, sheet spans shall not exceed those given for one or no open sides. Alternatively the ‘Wind Capacities’ table may be used to determine allowable single spans for any application. Spans specified for units with three sides open are suitable for units considered ’empty under’ and not exceeding three metres in height (from ground or deck level). For units in which goods or materials stored under the roof are expected to block greater than 50% of any open side exposed to the wind, take the spans from open two sides. For units with two open sides, spans are based on Cp,n=-1.0 while for units with only one or no open sides, Cp,n=-1.2. In all cases, relevant consideration has been given to local pressure. Note: The ‘Wind Capacities’ table provides allowable wind capacities for Cooldek in single span application for serviceability and strength limit states. The pressures given may be used by a suitably qualified engineer for any single span application ensuring appropriate fixing details are applied. 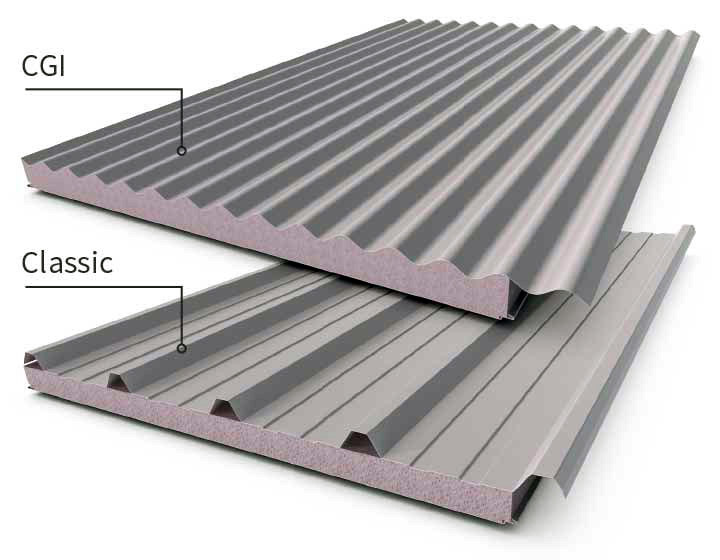 Maximum allowable 900mm deck overhang for 50 and 75mm panels and 1200mm for 100mm panels, except in wind classification N4 in which maximum allowable shall be 900mm. The cladding back span shall be no less than 1.5 times the deck overhang. If values are shown in brackets they represent the maximum allowable span if an overhang is used. For a side to be considered open, the full length of the side must be open. The values in all the above tables are for use with steel supports with a minimum thickness of 1.0mm BMT, G550, or timber supports with fixing details as specified under ‘Installation’.